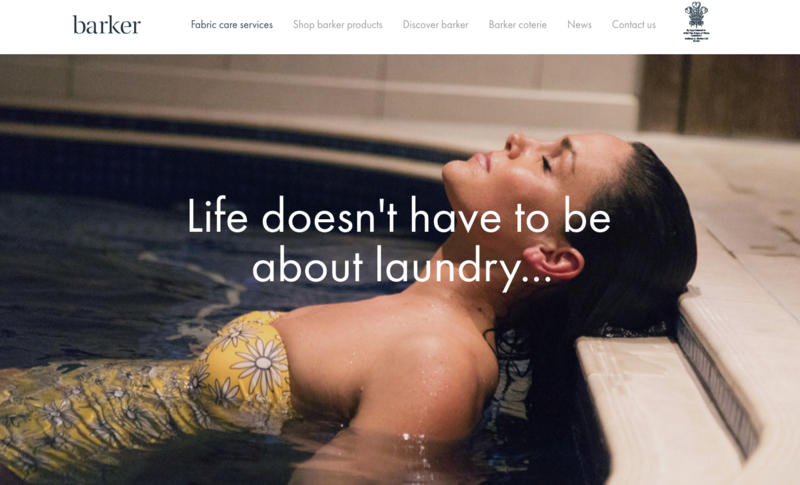 As part of an ongoing project with barker, a credible business based on the south coast delivering fabric care services and products, we recently launched their brand-new website to mirror the new brand strategy and guidelines created. Over the past year or so, we’ve been working with barker to refresh their branding and visual identity to reflect their high-end positioning and the quality service. As a long-standing family business, barker wanted a website that highlighted their heritage whilst also reflecting the quality and traditional service excellence that they pride themselves on. barker wanted their new website to tell a story, and represent a continued commitment to their customers to always deliver the best possible results. Therefore, it was important that the website was easy to navigate and that information about the different products and services was easy to find. “barker is your friend. Your confidante that encourages you to go ahead and make the most of your life, take time with your loved ones, or just time out for yourself whilst we take care of your mundane duties. barker encourages you to re-write your story, at our pleasure”. 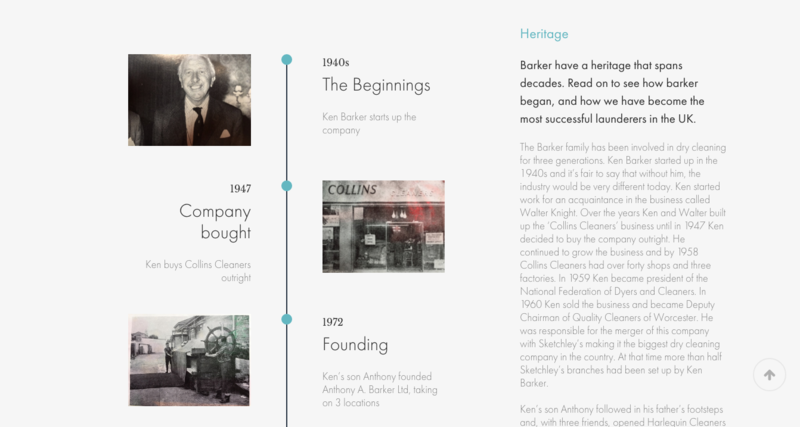 “We have been on an incredible journey with the barker brand since engaging with Global. 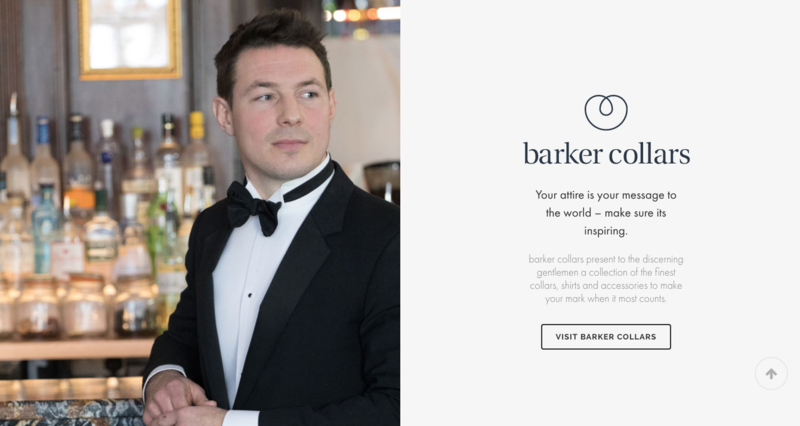 With the launch of our associated retail brands ‘barker collection’ and ‘barker collars, it was important to capture the evolution of barker and ensure our message was communicated in the right way. Images of the new website are below but if you would like to check out the website for yourself, go here. If you enjoyed reading about this project, take a look at some other examples over on our portfolio page. If you’re looking to start your own brand adventure and need some help getting started, give us a call on 01202 727070 or send us an email to discuss your requirements.